The Heavy Rain Spoils Our Day! brookser	Fall Banding	Comments Off on The Heavy Rain Spoils Our Day! Wednesday September 30, 2015. 2 new bandings of 2 species; 4 recaps. We had a very brief lull in the storm, and raised a couple of nets. 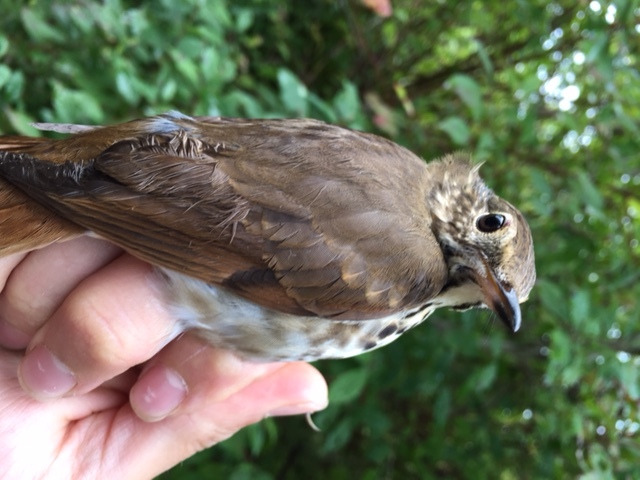 A Gray-cheeked Thrush and a Nashville Warbler were netted before the rain started up again. We looked at radar and saw no more openings in the heavy rain. So our banding day ended with only two birds banded. This gave us time to start getting ready for the North American Banding Council’s Certification Session which BBBO is hosting this coming weekend. Five people are candidates at the Bander level and one is a candidate at the Trainer level. We are hoping for a break in the weather to allow us to get all the outdoor exercises completed!! Tuesday September 29, 2015. 23 new bandings, 28 retraps, 8 species. New species Hermit Thrush. We opened everything at dawn, but had Radar on all day, and closed nets at 2.0 hours and then closed more nets as the day went on, but at hour 4.0 we began opening some nets back up. We finished the day with no rain. Swainson’s Thrush was the bird of the day, with 8 banded. Monday September 28, 2015. 21 new bands of 8 species; 20 retraps. The catch of the day was a feisty Yellow-shafted Flicker. We banded 8 White-throated Sparrows and 5 Blackpoll Warblers, with just a few nets set up while we watched the showers dwindle and finally leave the area. At that point we raised almost all our nets. 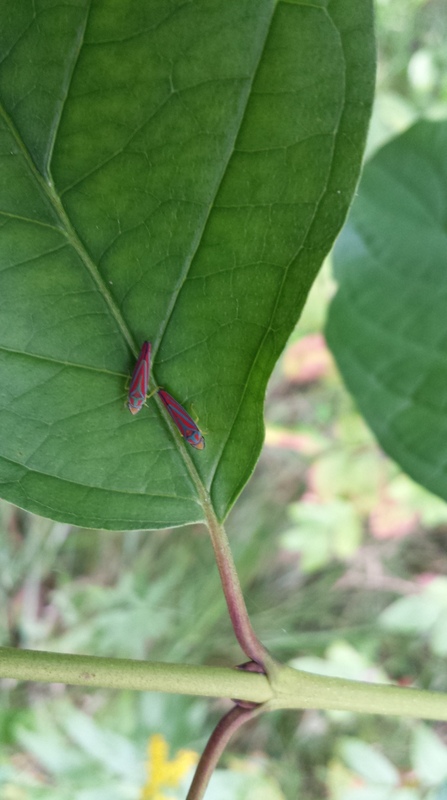 Sometimes, the insects get our attention! Andrea and Betsy worked to get things ready for next weekend’s NABC Certification session. We took down the nets the BTC students had put up, and Ryan set up the owl nets, so we are ready for the first really crisp, fall-like evening! Sunday September 27, 2015. 37 new bandings of 13 species; 28 retraps. Saturday September 26. 2015. 48 new bands of 16 species; 39 retraps. Another Great Fall Day of Banding! brookser	Fall Banding	Comments Off on Another Great Fall Day of Banding! Friday September 25, 2015. 100 new bandings of 23 species; 24 retraps. 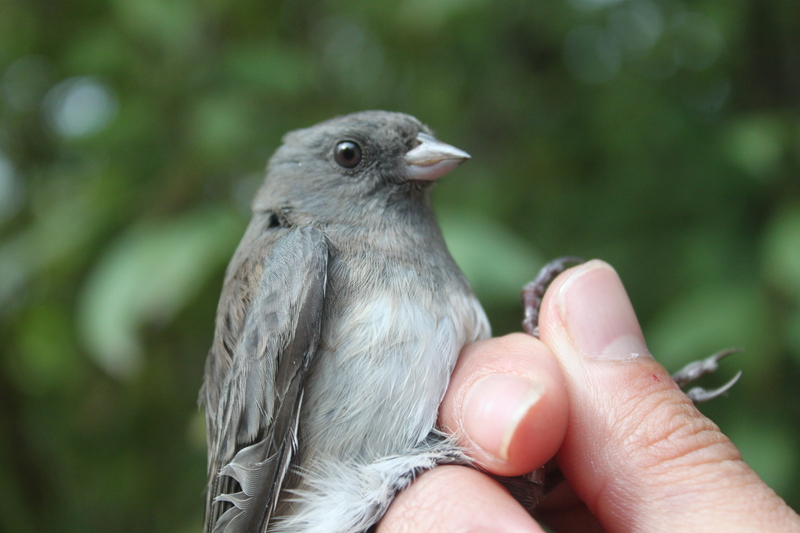 New species Dark-eyed Junco. The Fall 2015 Bander Training Class posed with Andrea and Betsy for their class picture. Our Best Day of Fall 2015 So Far! 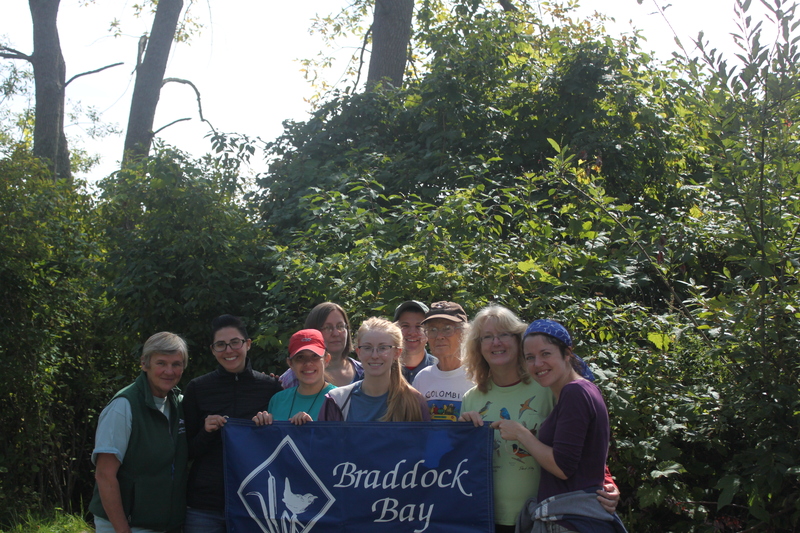 brookser	Fall Banding	Comments Off on Our Best Day of Fall 2015 So Far! Thursday September 24, 2015. 146 new bands of 22 species; 16 retraps; during 226.5 net hours of operation. New species for fall 2015 were Yellow-bellied Sapsucker and Golden-crowned Kinglet. We were in the middle of a long run of pleasant weather and the overnight winds didn’t favor a strong migration. At best we hoped for enough birds to keep us busy. At the end of the day we had banded 146 birds of 22 species and processed 16 recaptures. This was the highest total so far this season! The bird du jour was the White-throated Sparrow (60 new birds banded). 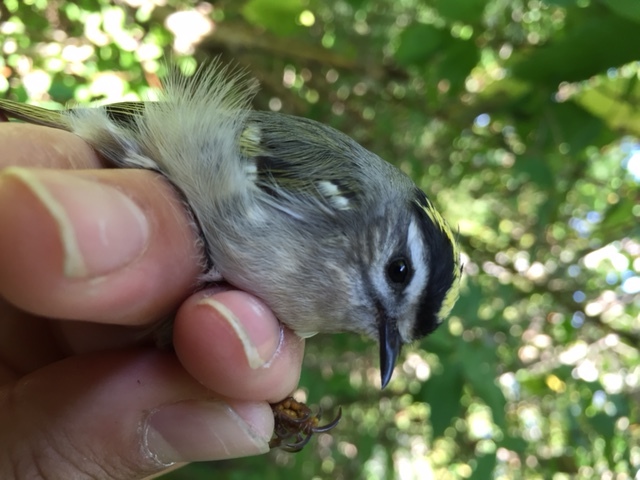 Two new species for the season, Yellow-bellied Sapsucker and Golden-crowned Kinglet, arrived and we banded. We had only five species of warblers and the numbers appeared to be dropping off. However, the highlight of the day was a handsome male after-hatch-year Black-throated Blue Warbler (see photo). 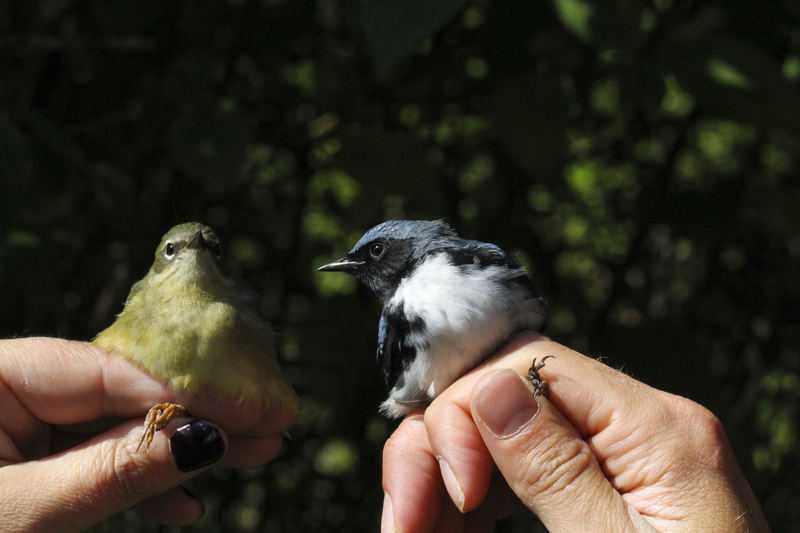 The majority of the birds were banded by the members of the Bander Training Class. They did an outstanding job. These six students have made a great beginning towards working to conserve birds. Between the gourmet fresh peach cake (courtesy of Doris) and the assortment of birds, it was a day full of pleasant surprises.